Los Angeles-based producer Greg Broussard was the man behind pioneering hip-hop/electro fusion artist the Egyptian Lover. Comparable in influence to Soul Sonic Force's "Planet Rock", Man Parrish's "Hip-Hop Be Bop (Don't Stop)" and Pretty Tony's "Jam theBox", Egyptian Lover singles such as "Egypt, Egypt", "My Beat Goes Boom", "Dance" and "What is a DJ If He Can't Scratch?" combined the abstract electronics of Kraftwerk and the Art of Noise with the emerging beat-heavy sound of electro and the vocal approach of rap. 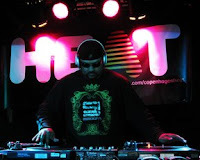 Similar in style and feel to those other artists, Egyptian Lover and related West Coast electro groups and producers such as World Class Wrecking Cru, Chris "The Glove" Taylor and the Unknown DJ took beatbox manipulation to new levels, fusing signature loops with ample syncopation, darker, modal melodies and impressive turntable tricks. 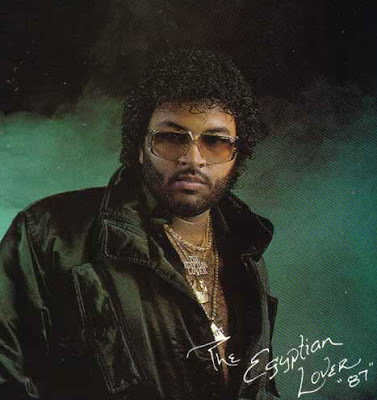 While Egyptian Lover records didn't start appearing until several years after the New York and Miami electro scenes were already in full swing, by the mid-'80s Egyptian Lover cuts like Egypt, Egypt" were standards among club DJs, particularly in the breakdance scene. On April 9th The Egyptian Lover will play at RUST in Copenhagen.